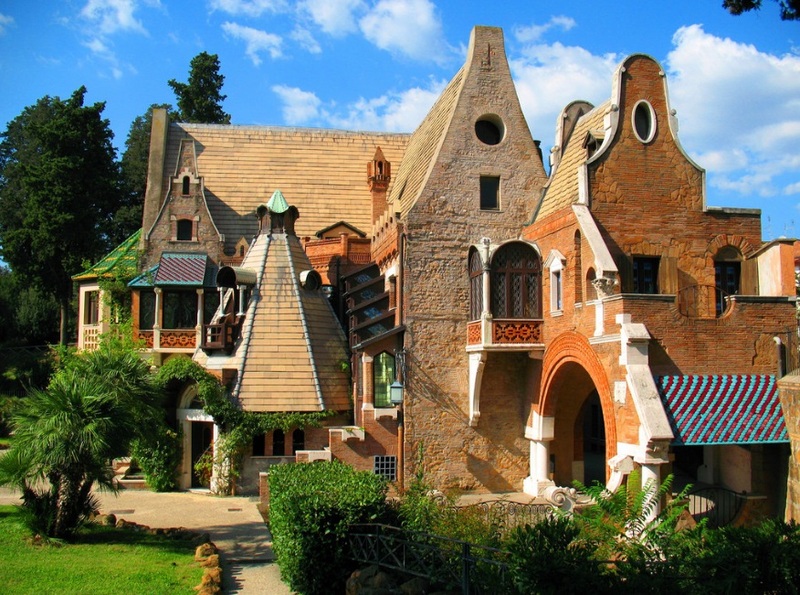 An enchanted house has materialized out of a fairy tale at the Villa Torlonia Gardens. Its bow windows, tiled roofs and turrets seem to arise from the dream of an elven artist. 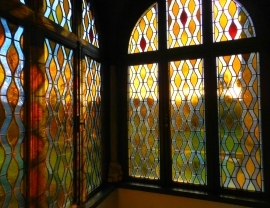 Stained glass is everywhere, producing many-coloured hues that fill the rooms with an enchanted spell. Prince Giovanni Torlonia Jr. was no ordinary man. 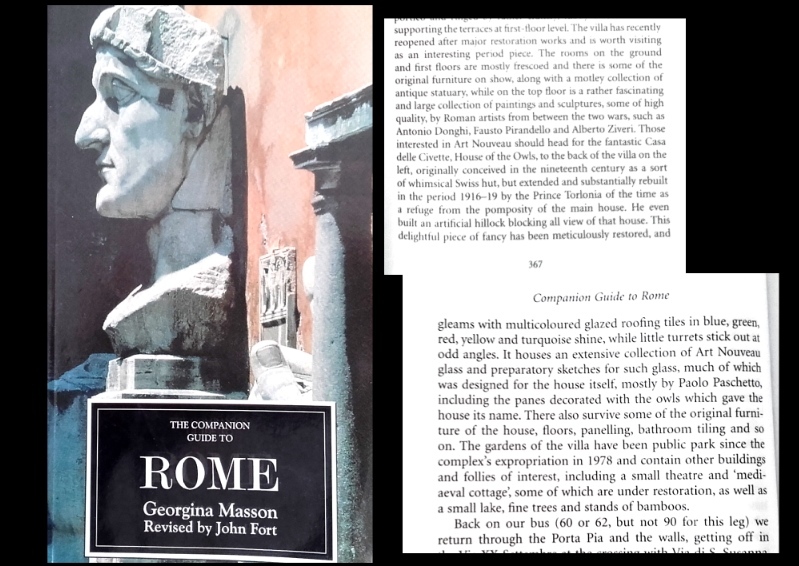 His family had gathered a huge wealth during the French rule in Rome, surpassing in richness many of the traditional aristocratic families of the place. 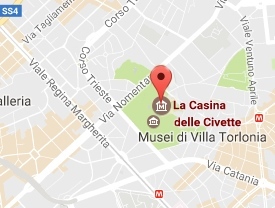 But he was a somber, unsociable man and obsessed by esoteric docrtines: in 1908 he ordered to build a house at a corner of the large garden of his Villa Torlonia, where he began to live in. The “Casina delle Civette” (House of Owls) appears to be a magical abode, separated from the rest of the Villa by an artificial hillock, as if it had emerged from a medieval tale of fairies and enchanted forests, with its slanted roofs and stained-glass windows. It's a labyrinth of loggias and porticoes which seems to lead the visitor to potential, unexpected encounters with legendary creatures or evil wizards, in the coloured shadows that fill the corners of the internal rooms of the house. 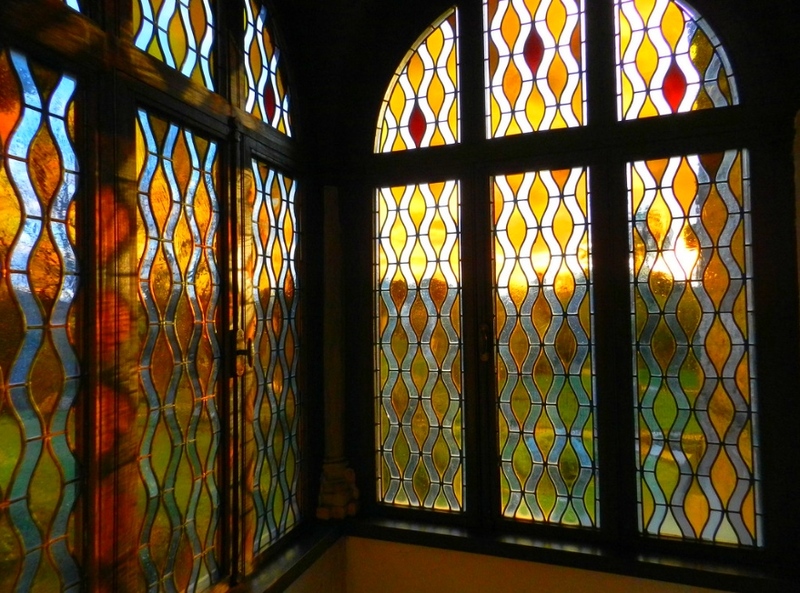 A walk through the collection of gorgeous artistic glass which is preserved inside in the Museum is a journey into the spell and thrill of a mysterious narration, marked by the gloomy presence of stuccoed bats and mystical, translucent owls. 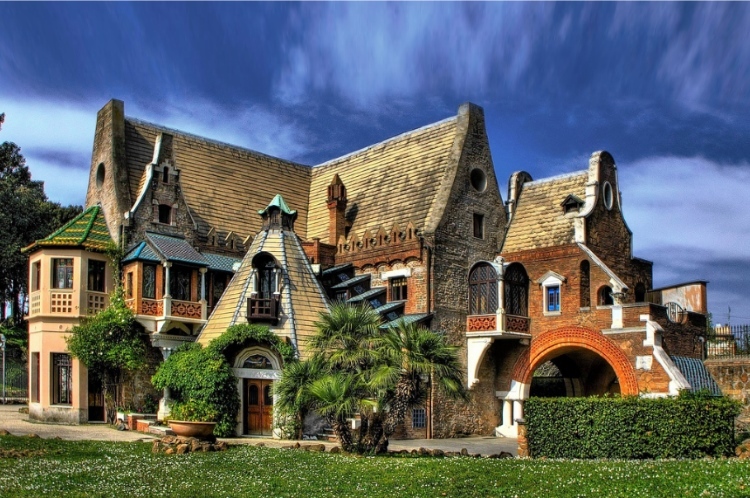 Those interested in Art Nouveau should head for the fantastic Casa delle Civette, House of the Owls. This delightful piece of fancy has been meticolously restored, and gleams with multicoloured glazed roofing tiles in blue, green, yellow and turquoise shine, while little turrets stick out at odd angles.